Made by Soho Mint in Birmingham, England, 1794. Round bronze medal. The obverse has an effigy of a profile of a man in eighteenth century dress and the legend 'RIC.COMES HOWE THALASSIARCHA BRITAN. / PATRIAE DECUS ET TUTAMEN.'. The engraver's initials are marked on the arm of the figure. 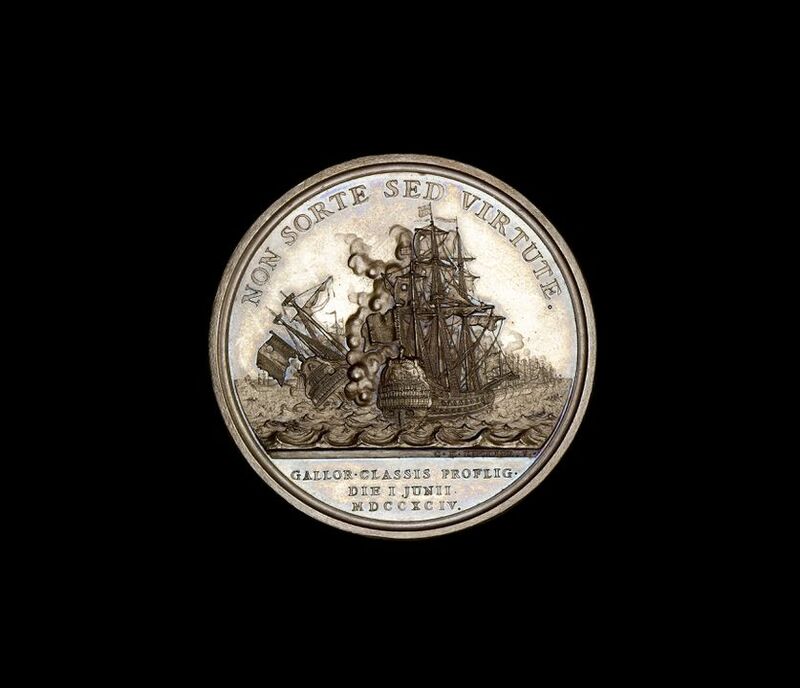 The reverse has a naval battle scene and the legend 'NON SORTE SED VIRTUTE. / GALLOR.CLASSIS PROFLIG. / DIE I JUNII / MDCCXCIV.'. The engraver's name is underneath the battle scene. The rim is raised and the edge is plain. Conrad Heinrich Kuchler, medallist and engraver, worked for Matthew Boulton at his Soho Mint. The medal was struck at the Soho Mint in Birmingham, England in 1794. The medal was struck to commemorate the Battle of the Glorious First of June, 1794. The battle was fought in the Atlantic Ocean between the Royal Navy and the navy of Revolutionary France. The commander of the British force was Richard Howe, 1st Earl Howe. This object is currently on display in Boulton and Watt Engine at the Powerhouse Museum.